Next time things get hairy, instead of running away, how about lifting your face to the rain and wind and facing your fears head on? 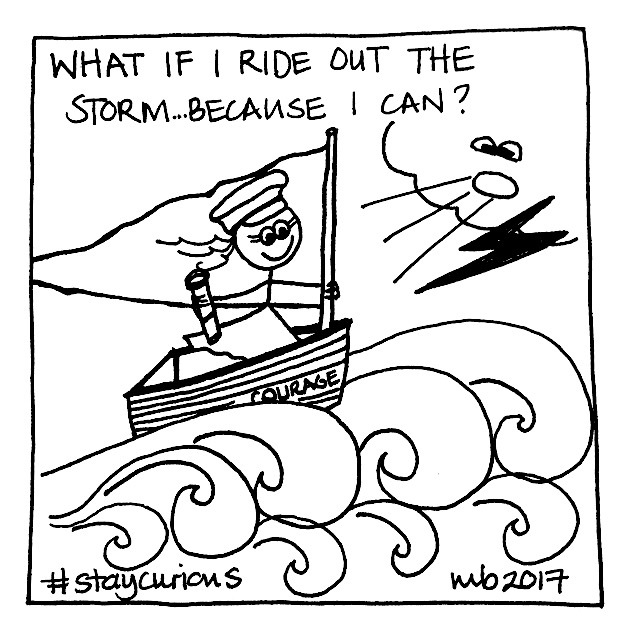 What can you see and feel when you’re riding your personal storm? What can you learn from it, to handle things better next time? Skippers put in plenty of sailing time before they get their license. So think of this as part of your training. I realised after completing this doodle that I didn’t give her a life preserver – how very irresponsible of me! Yet sometimes life is like that, where there’s no time to grab whatever is going to protect you. Instead, you’ve just got to hold on like hell until it’s through! attitudefearstay curiouswhat if I can?